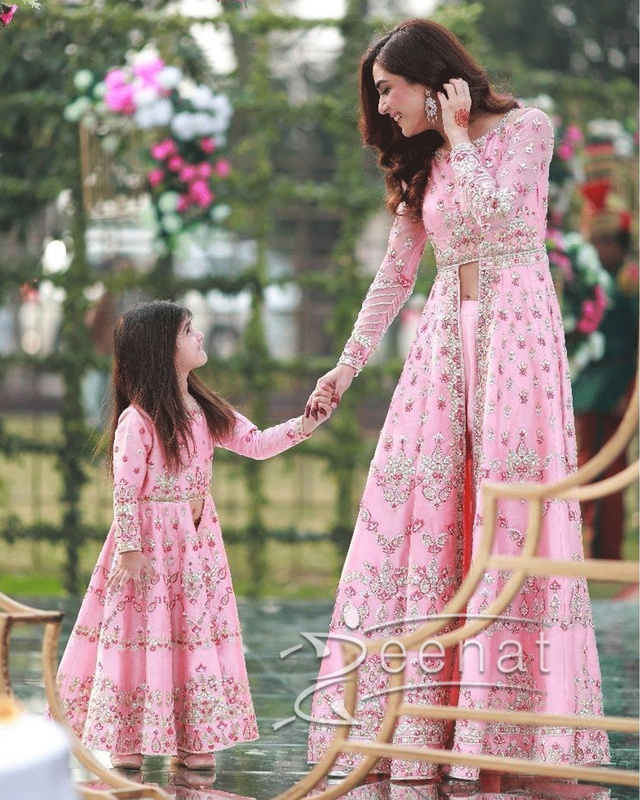 Maya Ali dazzles in a pink Faiza Saqlain dress featuring intricately embroidered and embellished floral bouquets in silver and pink, paired with straight pants. She’s seen twinning with a little cutie and this took our heart away. 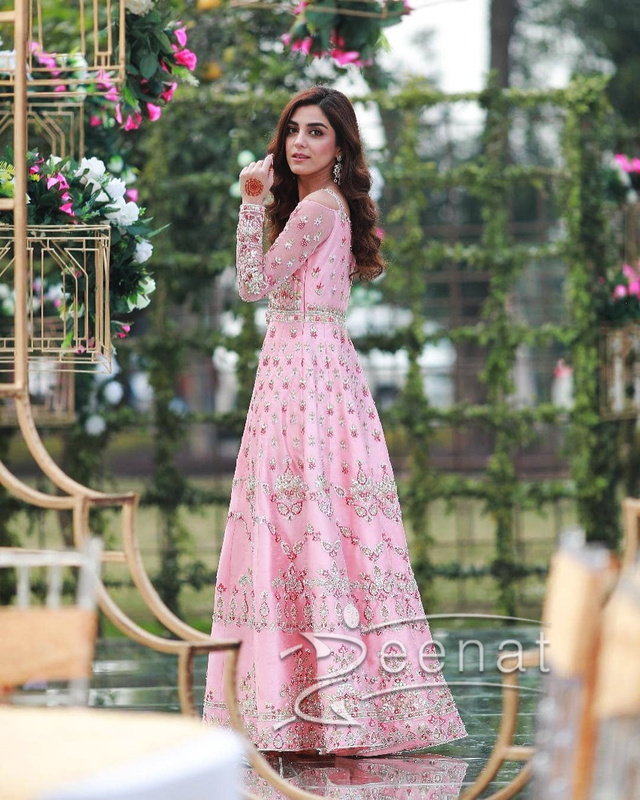 If you guys are thinking about what to wear on a day time wedding take some inspiration from Maya Ali. Drop us a line to get the ordering details of this stunning piece.